Pop Culture Junkie: The Pop Culture Junkie Birthday Bash Giveaway! The Pop Culture Junkie Birthday Bash Giveaway! 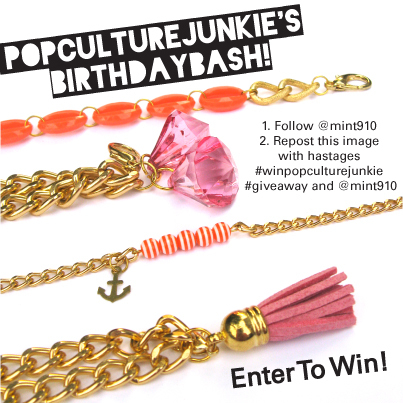 The Pop Culture Junkie Birthday Bash Giveaway is going on now over on Instagram!